A canister vacuum is unique, in comparison to a regular upright vacuum. With a canister vacuum, the cleaning nozzle is placed at the end of a wand, and this wand is attached to a hose that links directly to the vacuum unit, which is a canister. This canister contains all of the essential parts, such as the engine, the filter, and the dust bag. On the bottom of the canister, there are wheels, enabling you to drag the vacuum around with ease. Each one of those elements comprises the “How” of “How does a canister vacuum work?” Ultimately, a canister vacuum is a very simple and easy-to-use tool, and every feature is intended to enhance the convenience and overall functionality and ease of use of the vacuum itself. 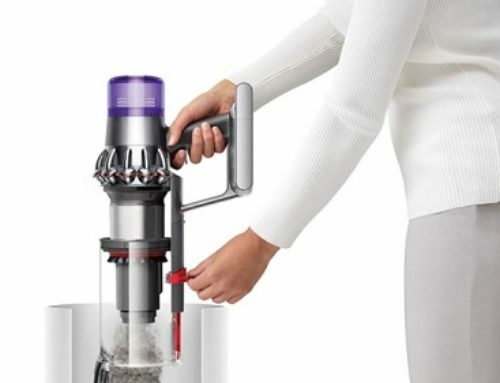 All of the main elements are safely stored within that single canister, and this makes it convenient to move the vacuum around, and it makes the vacuum itself a lot more portable. One of the biggest benefits of owning and using a canister vacuum is the fact that canister vacuums are very convenient units. – They aren’t too big or heavy. – All of the components are in one main location. – You have more overall maneuverability. – They’re far quieter than an upright vacuum. For those reasons and many more, canister vacuums are a worthwhile investment. Now, when it comes to choosing the best canister vacuum, there are a variety of key factors that go into this process. But, more than anything else, it’s very, very important that you know what kinds of features you are looking for in a canister vacuum. When you know what you want, and what you need, you can narrow the results down quite a bit, and then you’ll be able to find the right canister vacuum easily. 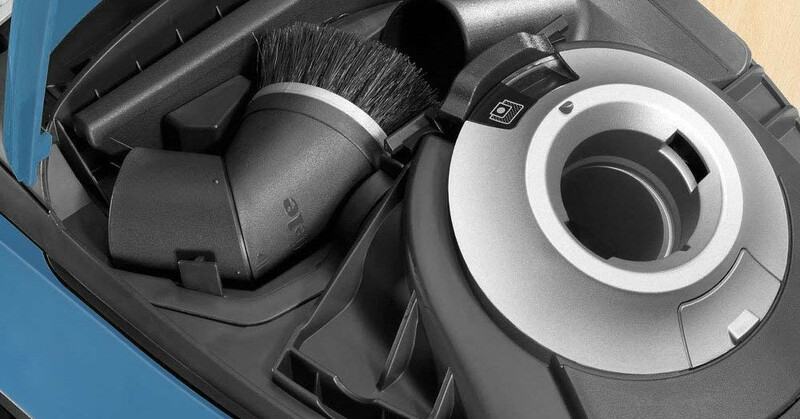 In this guide, we’ll be going over those features and those different factors and elements that comprise a good canister vacuum. You’ll learn which features are particularly notable and important, and which ones are less important. You’ll also learn a lot about how to determine if the canister vacuum you are considering has those features or not. Finally, before we get into the article, it’s important to know just how much a canister vacuum tends to cost, roughly. Now, keep in mind that there are a variety of different canister vacuums out there. Some are very cheap, and some are very expensive. However, a canister vacuum tends to cost between $60 to $500. Naturally, the more expensive ones are more “high-end” than the others. The cheaper ones tend to lack some of the features that you find on the more expensive, feature-rich canister vacuums. However, just because a canister vacuum is more expensive, or less expensive, doesn’t mean that it’s worse than, or better than, any other model. Rather than having that mindset, make sure to take the time to evaluate each canister vacuum on its own, with regards to the features that it has and the benefits it gives you. More often than not, it seems, a canister vacuum is going to have a smaller dirt capacity than a regular upright vacuum. However, that isn’t to say that you can’t find a good canister vacuum that has a large dirt capacity, but it will be a little harder to find one with the upright level of capacity. With a smaller dirt capacity, the process of cleaning can become very inconvenient, because you are going to have to empty the dirt bin every so often continually – this depends on the dirt bin size – and if your home is especially dirty, or just very large. Cleaning is not going to be the most enjoyable task. Thankfully, though, this problem is very easy to remedy. When searching for a canister vacuum, always make sure to read the product page or the “Frequently Asked Questions”, because chances are, these pages will tell you the specific capacity that the dirt bin has. When looking for a good dirt bin, you should aim for something that is at least one-gallon, or around that particular measurement. This is more than sufficient for just about any cleaning job, and having this level of capacity serves as an incredible convenience. Make no mistake; attachments are INCREDIBLY important for a canister vacuum. Without them, the functionality and usability of the canister vacuum is significantly lessened, and it can be a lot harder to reach certain spots and spaces that the regular unit might have trouble reaching. First off, having some extension wand is essential. These are wands that extend the main wand, adding an extra couple of feet to the main wand, enabling you to go behind couches or chairs and smaller spaces with a bit more ease. Most canister vacuums come with extension wands, so you don’t need to look too hard for them. A crevice tool is an fantastic tool that enables you to clean crevices that the main wand cannot reach, due to its large size. These may not be the important tools for you, but they can be incredibly useful, especially if you want to clean within tight or cramped spaces. Another great tool is an upholstery tool, which is designed to help you clean upholstery, such as the surfaces of your couch and the interior of your car, among other things. Now, there are other attachments that you can look for and find, but those are some of the most popular ones because they give you a lot of extra functionality. 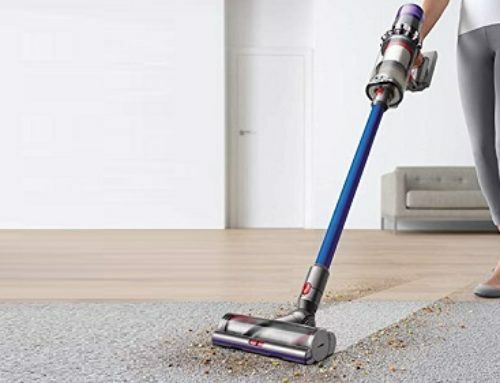 They’re easy to use, and they make your canister vacuum a lot more adaptable when it comes to cleaning crevices and smaller spaces and vacuuming upholstery. In comparison to upright vacuums, canister vacuums are relatively light. They aren’t too big or bulky, and they’re easy to move around because of this lack of heft. The wheels on the bottom of the unit, allowing you to roll it around with ease. However, that doesn’t mean that all canister vacuums are inherently light and maneuverable. Some of them are rather bulky and unpleasant to move around. Now, the canister vacuums that are a bit bulkier, some of them are quite a bit more powerful than the smaller ones. But, weight isn’t the sole factor in deciding whether or not a vacuum is, or is not, powerful. When you look for a canister vacuum, you’ll almost always be able to find the weight of the item on the product page of the vacuum itself. A decent weight is seven-to-ten pounds, which ensures that the canister vacuum will be maneuverable and not unpleasant to use and move around. Anything more will be a bit more debatable, but again, you might choose something with a bit more heft because those vacuums may have a stronger motor and better suction. When we talk about the “cleaning path” of a canister vacuum, what we’re talking about is the width of the vacuum’s wand, and just how much dirt and debris can be sucked up, given that particular width measurement. Having a wide cleaning path is incredibly convenient because if you have a wide cleaning path, more dirt and debris is sucked into the vacuum, during a shorter period. If you have a small and less-wide cleaning path, it’ll take you nearly twice as long to clean the same space. If you suffer from allergies – and even if you don’t, these filtration systems remain top-of-the-line regardless of that – you’ll want a HEPA filtration system. Now, “HEPA” stands for “High-Efficiency Particulate Air”. These are mechanical air filters that serve as mechanisms for trapping and eliminating particles such as pollen, pet dander, tobacco smoke, and others. These are very powerful filtration systems, and they are ideal for a canister vacuum. Not every canister vacuum has this type of filtration system. Many of them do, but there are quite a few that don’t, as well. The reason you want to go for a HEPA filtration system, though, regardless of whether or not you have allergies, is because these kinds of filters trap all kinds of particles. HEPA filters don’t just work with allergens, but any kind of particle. What this means is that it doesn’t matter what you are cleaning, because it’s going to be filtered through this system and it will be eliminated from your air. That, and non-HEPA filtration systems often create dust clouds, which are quite an annoyance, and if you have allergies, well, they only heighten those allergies. Hose and power cord length affect the overall convenience of the canister vacuum a great deal. If the hose isn’t that long, then you can’t reach as many spaces and sections without moving the canister vacuum around. The same goes for the power cord, if it’s short – or even too long, which could lead to tangles – then you’re going to have to either unplug it from one outlet and plug it into another outlet. Or you’re going to have to purchase some kind of extension cord, which can be equally annoying. When looking for a canister vacuum, it is very important that you keep the hose length and the length of the power cord in mind, because these things do affect the canister vacuums convenience and ease of use, which directly affects your experience with the vacuum. You want to look for a hose that is at least six feet long, and a power cord that is at least eight feet long. If you find one that is longer, then go for it! But, sometimes having a power cord that is too long can be a bit annoying, but that’s only for really long power cords – longer than twenty-feet – so that is a rarity, more than anything else. For some people, the noise level isn’t that big of a deal. Sure, it can be annoying to hear the thundering of a loud vacuum cleaner, but it’s a price that you’re willing to pay for a good cleaning experience. For other people, however, it isn’t just a slight annoyance, it’s a big problem that they would rather avoid altogether. If you’re one of those people where the noise level doesn’t bother you, then this particular section isn’t of much importance. However, if the noise level does bother you, there are two things you need to take note of. First off, your best bet is finding a canister vacuum that brands itself as ‘Ultra Quiet”. Ultra Quiet vacuums are designed to be quiet and not to make that much noise. And then, along with that, there is a specific decibel range that you are looking for, in a quiet vacuum. This decibel range is between 60 to 80 decibels, for a very quiet vacuum cleaner. However, the lower the decibel value, the more expensive the canister vacuum will be, so consider that when searching. Suction control is a very simple concept that many canister vacuums are only now starting to integrate properly. 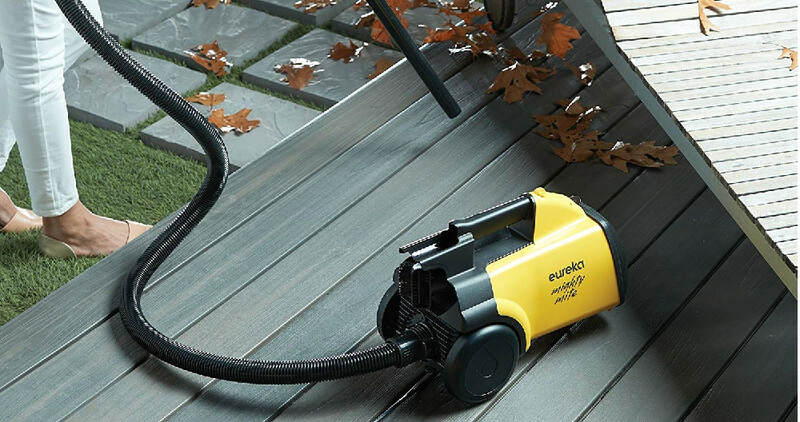 Essentially, with a canister vacuum, using suction control, you can access different modes of suction. Some modes are far more powerful than others, and as such, they also use more electricity. Other modes are less powerful, but they use less electricity. This gives you a great deal of versatility when it comes to using the vacuum. For example, if you are cleaning a small mess, you can use the lowest setting, which will save electricity – or battery life, if you’re using a battery-powered canister vacuum – and be, more or less, just as efficient, due to the small mess. If it’s a bigger mess, you can use the medium setting or the highest setting. Maintaining a canister vacuum isn’t too different from maintaining from an upright vacuum. Make sure to check the filters and to clean and empty them on a regular basis. Keep an eye on the brush of the vacuum, to make sure it isn’t too worn out or damaged, and if needed, replace it. Along the same lines, make sure the hose is in good condition and isn’t tangled or being worn out. The same goes for the power cord, make sure it isn’t tangled and that it isn’t being stepped on or plugged into bad sockets. Store the canister vacuum in a safe, secure place where it won’t accidentally be damaged. Finally, make sure to read the manual so that you understand the canister vacuum that you are using, and won’t accidentally make any unnecessary mistakes. Ultimately, this is all very basic maintenance advice that goes for just about any vacuum cleaner. Canister vacuums aren’t all that different from upright vacuums when it comes to the maintenance side of things. Emptying a canister vacuum is a little different from emptying an upright vacuum cleaner, but it’s not a difficult or cumbersome process. First, make sure that you have some kind of garbage bin next to you. With the press of a button, release the canister from the unit. There are usually two parts: the part with the handle, and the canister itself. Put the part with the handle over the garbage bin and garbage bag and shake it, this will release the dirt and debris, preventing any mess. Then, empty the canister and shake out all of the dirt and debris into the garbage bin/garbage bag. If you can do this outside, it does help, because sometimes dust will fly everywhere. Other canister vacuums have different systems, such as storing it all into a bag that you can take out of the vacuum and dispose of. But, chances are, your canister vacuum will need to be emptied in a manner very, very similar to the method described above. A bagged canister vacuum is nice because it makes it significantly less likely that, if you’ve been vacuuming a lot, there are any big clouds of dust flying around. However, the problem with a lot of bagged canister vacuums is that the bags aren’t always of the greatest quality, and it’s an expectation that you’ll be replacing them with some degree of regularity. This can become expensive, especially if you vacuum a lot and the bags aren’t that great. Bagless is nice, too, because it shortcuts that entire problem, and instead ensures that you won’t have to replace any of those things. It can be annoying if you accidentally spill a bunch of dirt and debris that you just vacuumed. Granted, if you’re using a HEPA filter, it is very unlikely that any dust clouds or debris clouds will form, due to the nature of a HEPA filter. In the end, the choice of whether you should purchase a canister vacuum or an upright vacuum is a personal one, but there are certain factors to consider. First off canister vacuums far exceed upright vacuums when it comes to the convenience that they offer and the overall ease of use that comes with using a canister vacuum. Cleaning smaller spaces is much easier with a canister vacuum than an upright vacuum, for example. They are less heavy, as well, and the filtration systems tend to be a bit more fine-tuned. However, upright vacuums tend to have more powerful motors and better suction, for the most part, and if that is a big consideration of yours, then a canister vacuum might not be the best choice. Upright vacuums are also notable because they tend to cost less money than canister vacuums, and they have a larger dirt capacity. With an upright vacuum, though, you are sacrificing convenience and versatility, and if those two things are very important to you, then a canister vacuum is a better choice. Ultimately, canister vacuums are excellent. They’re so easy to use, easy to maneuver, convenient, mobile, and they offer so many amazing advantages. When looking for a canister vacuum, it can be overwhelming, because of all of the different features that are offered. 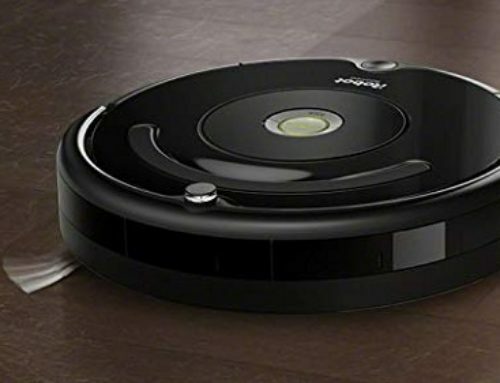 In the end, read our recommendation list and take note of what it is that is important to you, the features that you like and the aspects of a vacuum that are especially notable to you. Focus on those things, and you’ll be able to find the best canister vacuum for you.